DICTATOR final dampers cushion movements just before reaching the final position, e.g. those of sliding doors shortly before reaching the positions OPEN or CLOSED. Strokes of an adequate length provide a sufficient safety distance. The final dampers dispose of a continuous regulation and thus can optimally be adapted to the respective requirements. For the varying masses to dampen, there are available damper series with various diameters. Besides the single EDH dampers DICTATOR offers also the bi-directional ZDH dampers. These have a piston rod on both sides of the cylinder. As they provide a controlled slow-down in both final positions, you need only one of these dampers per door. 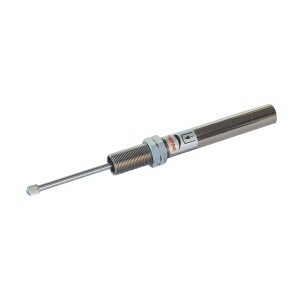 The better part of the dampers is available in stainless steel. 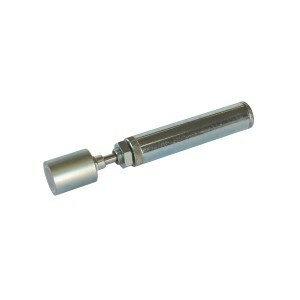 In particular for medical applications, the dampers can also be fabricated completely from unmagnetic materials. Some of the final dampers have been tested and approved for their use on fire protection doors and gates. Besides the extensive standard range, the DICTATOR final dampers are also custom-made. This makes it possible to get even for extraordinary demands the optimum damping characteristic (see pages 03.010.00 – 03.012.00 in the Types of Dampers and Functioning). Please ask our free of charge advisory service, telephone number +49 (0)821 2467350 or e-mail: technik@dictator.de. For special applications we also produce final dampers that are not working according to the hydraulic principle but as “air dampers”.